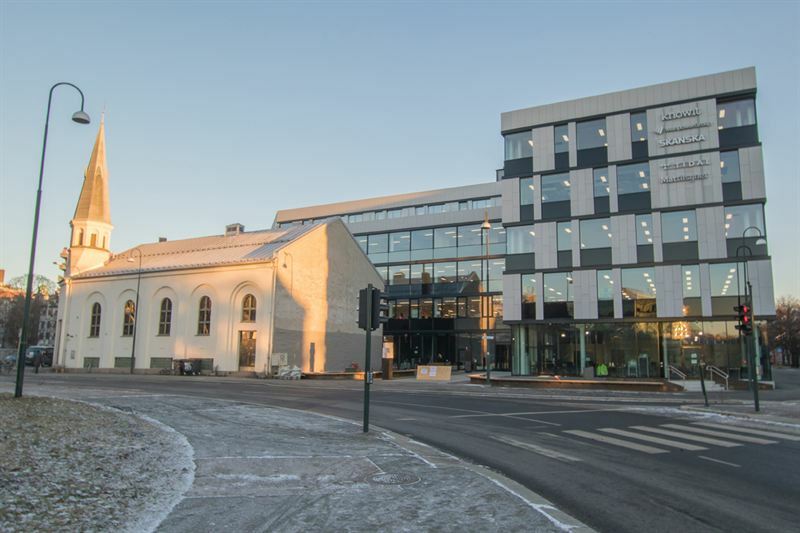 Skanska has sold its 50 percent ownership in the office building Sundtkvartalet in Oslo, Norway, to its joint venture partner Entra Eiendom for NOK 795M, about SEK 830M. The transaction will be booked by Skanska Commercial Development Nordic in the third quarter 2017. Entra takes ownership of Skanska's shares in the company on September 30, 2017, becoming sole owner. Sundtkvartalet is a modern office building in central Oslo consisting of 31,300 square meters, of which 92 per cent is let, and is developed in a joint venture with Entra. It is Skanska Commercial Development Nordics first project in Oslo and was completed in December 2016. Among the tenants are Skanska Norway, KnowIT, Manpower, IBM and Tidal.